My credit card number was stolen again. This time it was the American Express card, a first. (In the past it was always Visa). 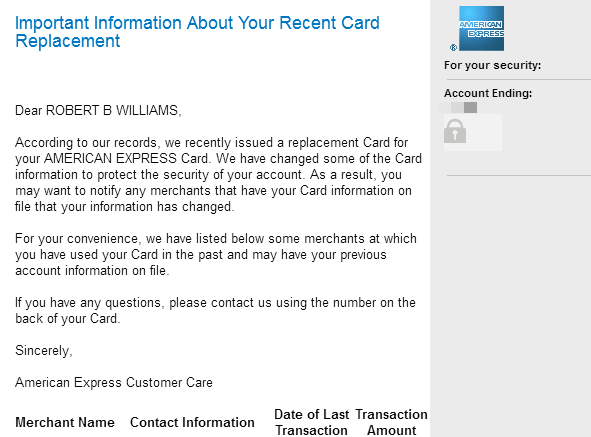 The good news is that as usual I received an alert from the credit card company based on suspicious activity. It was a single transaction that set-off the alarm bells this time. I will say I’m impressed with the credit card companies’ algorithms to detect potential fraud. 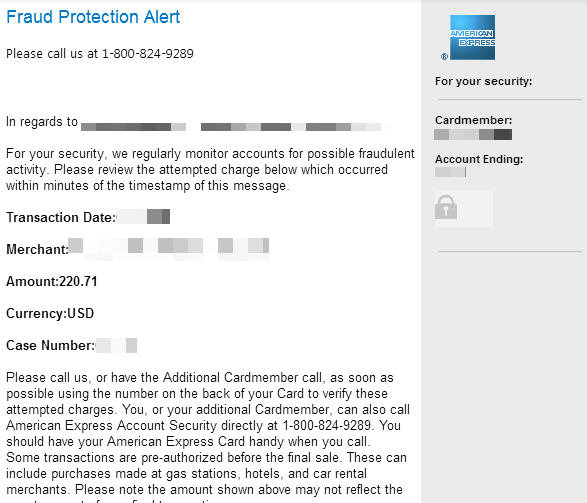 In each case they correctly identified fraud and the card issuer ended up alerting me before I noticed it on a statement. That’s great for them since it limits their losses. 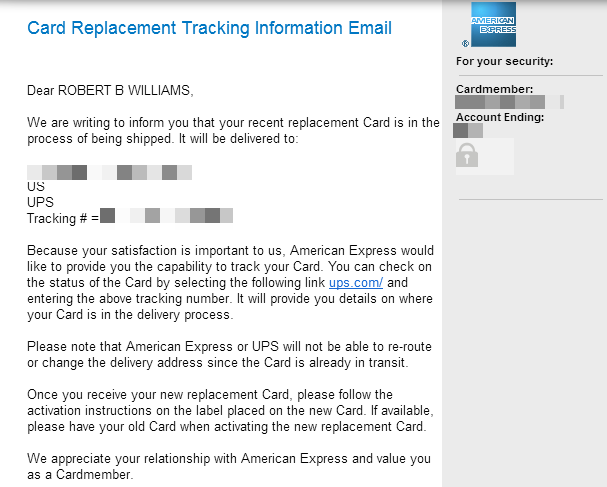 I was also impressed with the American Express customer experience throughout the incident. It included the initial notification of potential fraud, the confirmation of a new card issue, the confirmation of the new card delivery, and the reminder to check merchants which may have the card on file which included a list of potential merchants. The first alert was an email notification that there might be potential fraud. I’m leery of emails from any of my financial services providers as I always suspect a phishing attack. So I called the number on the back of my card to check the account. Sure enough the email was legitimate. After answering a few questions about recent transactions, my account was closed and they send a new card via overnight mail. I guess since it was peak shopping season they wanted to make sure I didn’t go anywhere without their card in my wallet! Then I received two emails confirming that a new would be on my doorstep soon. 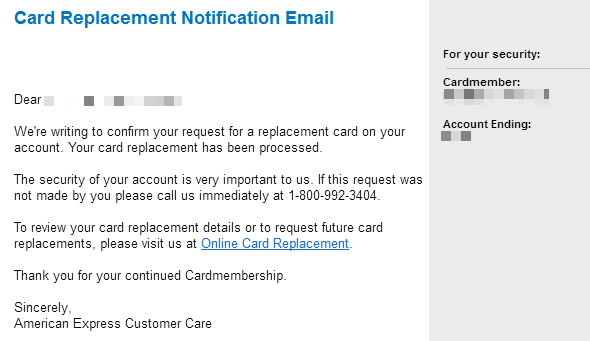 As a great follow-up to the experience I received an email showing specific merchants from my purchase history that might have my previous card number on record. While I had already updated or cancelled most of these, there were a couple that I had not thought about. Nice touch!